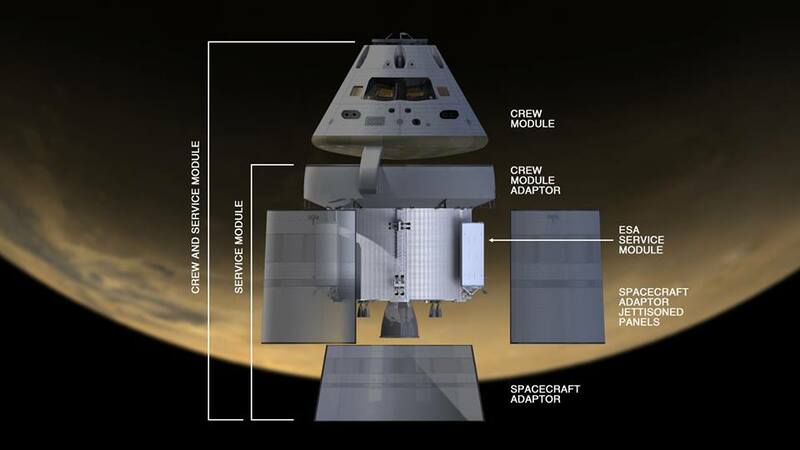 It’s known as the Orion Multi-Purpose Crew Vehicle (MPCV), and it represents NASA’s plans for a next-generation exploration craft. This plan calls for the Orion to be launched aboard the next-generation Space Launch System, a larger, souped-up version of the Saturn V’s that took the Apollo teams into space and men like Neil Armstrong to the Moon. The first flight, called Exploration Mission 1 (EM-1), will be targeted to send an unpiloted Orion spacecraft to a point more than 70,000 km (40,000 miles) beyond the Moon. This mission will serve as a forerunner to NASA’s new Asteroid Redirect Initiative – a mission to capture an asteroid and tow it closer to Earth – which was recently approved by the Obama Administration. But in a recent decision to upgrade the future prospects of the Orion, the EM-1 flight will now serve as an elaborate harbinger to NASA’s likewise enhanced EM-2 mission. This flight would involve sending a crew of astronauts for up close investigation of the small Near Earth Asteroid that would be relocated to the Moon’s vicinity. 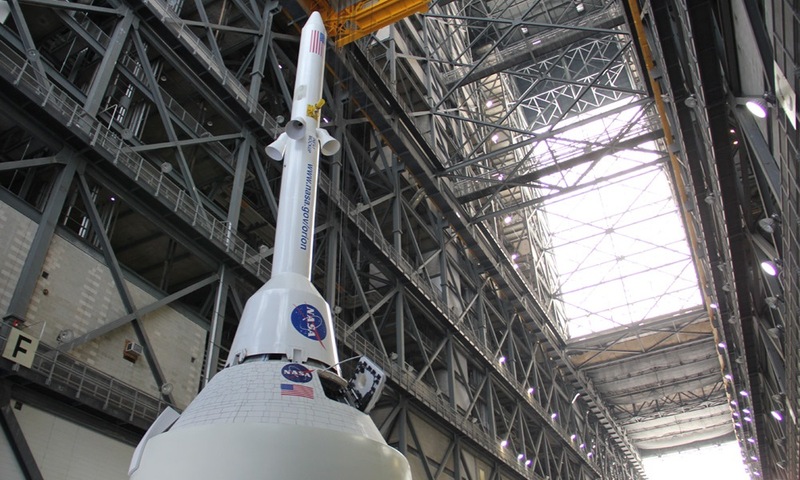 Until recently, NASA’s plan had been to launch the first crewed Orion atop the 2nd SLS rocket to a high orbit around the moon on the EM-2 mission. 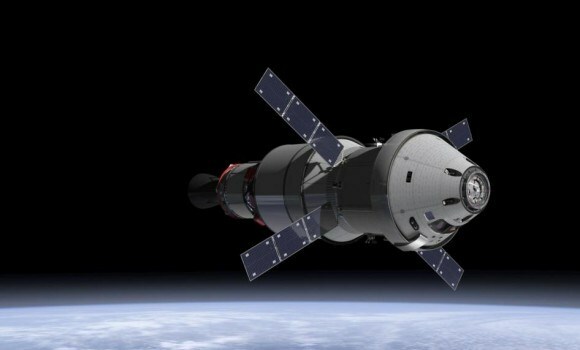 However, the enhanced EM-1 flight would involve launching an unmanned Orion, fully integrated with the SLS, to an orbit near the moon where an asteroid could be moved to as early as 2021. This upgrade would also allow for an exceptionally more vigorous test of all the flight systems for both the Orion and SLS before risking a flight with humans aboard. 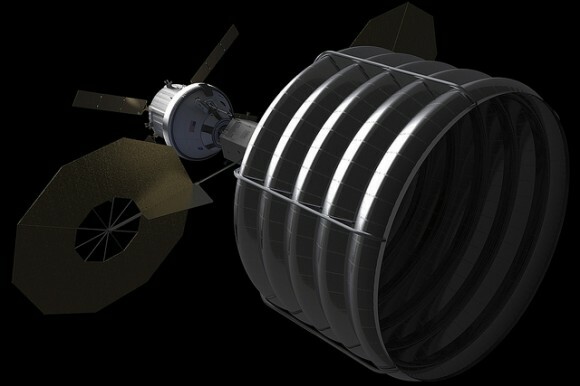 It would also be much more technically challenging, as a slew of additional thruster firings would be conducted to test the engines ability to change orbital parameters, and the Orion would also be outfitted with sensors to collect a wide variety of measurements to evaluate its operation in the harsh space environment. And lastly, the mission’s duration would also be extended from the original 10 to a full 25 days. The EM-1 mission with include approximately nine days outbound, three to six days in deep retrograde orbit and nine days back. EM-1 will have a compliment of both operational flight instrumentation and development flight instrumentation. This instrumentation suite gives us the ability to measure many attributes of system functionality and performance, including thermal, stress, displacement, acceleration, pressure and radiation. The EM-1 flight has many years of planning and development ahead and further revisions prior to the 2017 liftoff are likely. “Final flight test objectives and the exact set of instrumentation required to meet those objectives is currently under development,” explained Dean. The SLS launcher will be the most powerful and capable rocket ever built by humans – exceeding the liftoff thrust of even the Saturn V, the very rocket that sent the Apollo astronauts into space and put Neil Armstrong, Buzz Aldrin and Michael Collins on the Moon. Since NASA is in a hurry to reprise its role as a leader in space, both the Orion and the SLS are under active and accelerating development by NASA and its industrial partners. As already stated by NASA spokespeople, the 1st Orion capsule is slated to blast off on the unpiloted EFT-1 test flight in September 2014 atop a Delta IV Heavy rocket. This mission will be what is known as a “two orbit” test flight that will take the unmanned Multi-Purpose Crew Vehicle to an altitude of 5800 km (3,600 miles) above the Earth’s surface.